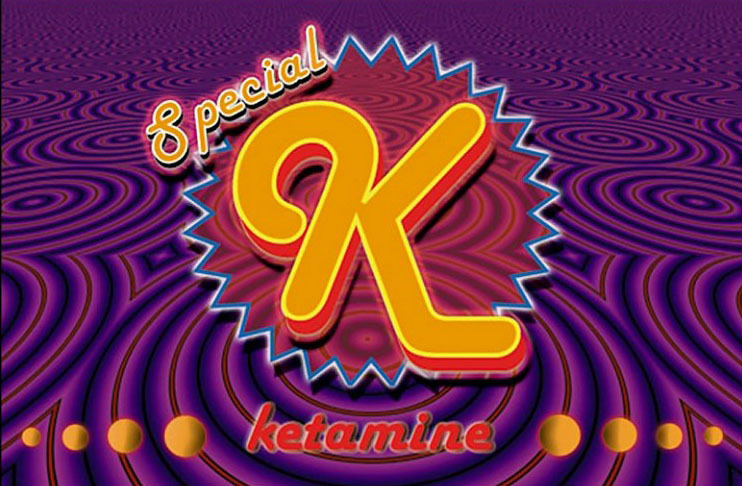 Ketamine hydrochloride (a.k.a, ”Special K” or “K”) belongs to a class of drugs called “dissociative anesthetics” that separate perception from sensation. Other drugs in this category include PCP, DXM and nitrous oxide. Ketamine was originally created for use as an anesthetic, and is still used today for general anesthesia in infants, persons of poor health, and by veterinarians. Recent studies have shown ketamine infusions can be an effective treatment for depression, and the drug is sometimes prescribed off-label for this purpose. The vast majority of illicit Ketamine is diverted from veterinary offices or legitimate medical factories in Asia. Medical-grade ketamine comes as a liquid, but is usually evaporated into a white powder and then swallowed or snorted. At lower doses, ketamine produces a mild, trance-like or “floaty” feeling similar to nitrous oxide. 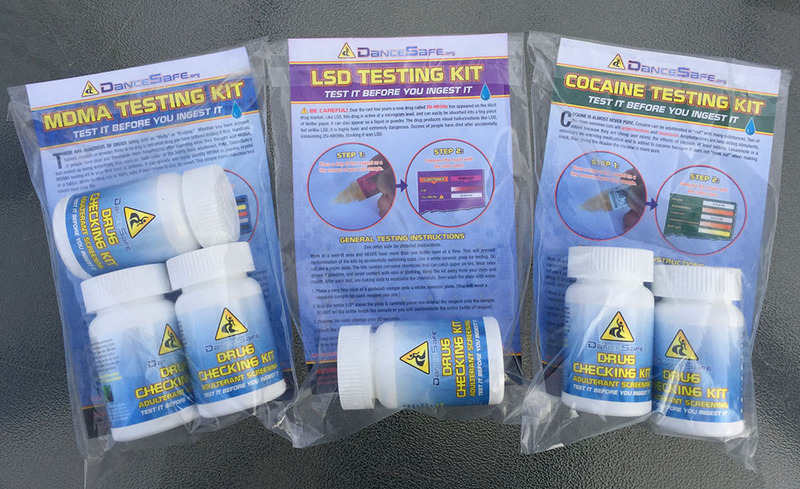 Higher doses produce hallucinogenic and dissociative effects, and may cause out-of-body experiences. An out-of-body experience is often referred to as entering a “K-hole” and can be compared to a near death experience with sensations of rising above one’s body. Other users report being “teleported” to other locations. Many users find these experiences spiritually significant, while others find them frightening. While in a K-hole it is dangerous and very difficult to move. Always remain seated or lying down during the experience. The effects of ketamine last about 30-60 minutes. If ingested orally, it can last up to two hours. Some people become nauseous after taking ketamine. What is the dosage of Ketamine? 100mg is usually enough to enter a dissociative state (a.k.a, “K-hole”). If liquid ketamine is injected intramuscularly, less is needed to enter a K-hole, and the effects can be felt within minutes. Ketamine is always injected into muscle. It is never injected into a vein. Ketamine is extremely dangerous to combine with central nervous system (CNS) depressants like alcohol, benzos or GHB. Ketamine has a moderate addiction potential. The dissociative effect can cause psychological dependence. Long-term use of ketamine has also been linked to kidney and bladder damage. Do not try to walk on high doses of ketamine. You may not be seeing what is actually in front of you. Many people have fallen and injured themselves. Never use ketamine alone. Always have a “sitter” when taking high doses (someone sober whose job it is to watch over you during the experience). People have died after taking high doses of ketamine when their breathing passage became obstructed. Entering a K-hole can be an interesting experience, but it is not something to do in a public setting. If you want to enter a K-hole, do it with a close friend in a private setting. If you come across someone unconscious at a festival or party, find the medics or call 911 immediately. Put the person in the “recovery position” on their side to make sure their breathing passage is clear. If they are not breathing, begin artificial (mouth-to-mouth) respiration. Ketamine is illegal and possession can result in long prison terms. Supplying ketamine to someone else (whether or not money was exchanged) can carry even longer sentences. Be self aware! If you choose to use ketamine, knowing why is the best way to maximize the benefits and reduce the risks. Whether it’s for therapeutic, psychonautic or purely recreational purposes, conscious use is always better than unconscious use.